The university of Chicago Booth School of Business is known for selecting heritage sites for its campuses. Having moved from its Singapore campus in the House of Tan Yeok Nee along Penang Road three years ago, it has now set up its Executive MBA Asia program at a Mount Davis historic site. The school plans to engage Hong Kong at different levels by bringing in short-term executive education and the social innovation program. The 21-month EMBA program has been running in Hong Kong at a temporary location in Cyberport for the past four years. The new site, which holds Grade Three heritage buildings, was granted by the Education Bureau in 2013. 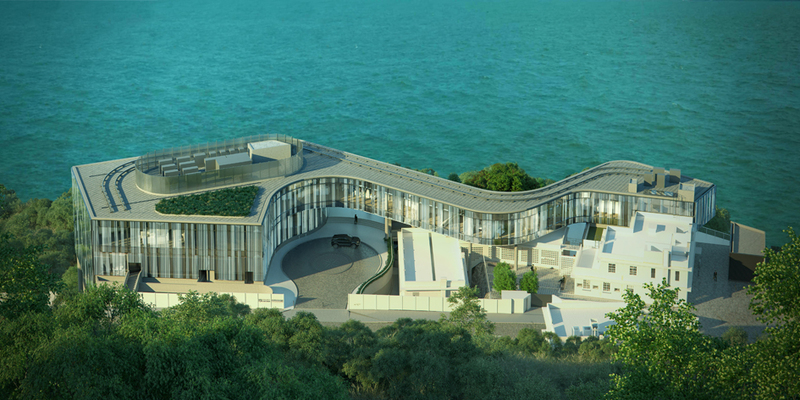 The Hong Kong Jockey Club University of Chicago Academic Complex | University of Chicago Francis and Rose Yuen Campus in Hong Kong started operating on a limited basis last month but it is scheduled to fully open in November. 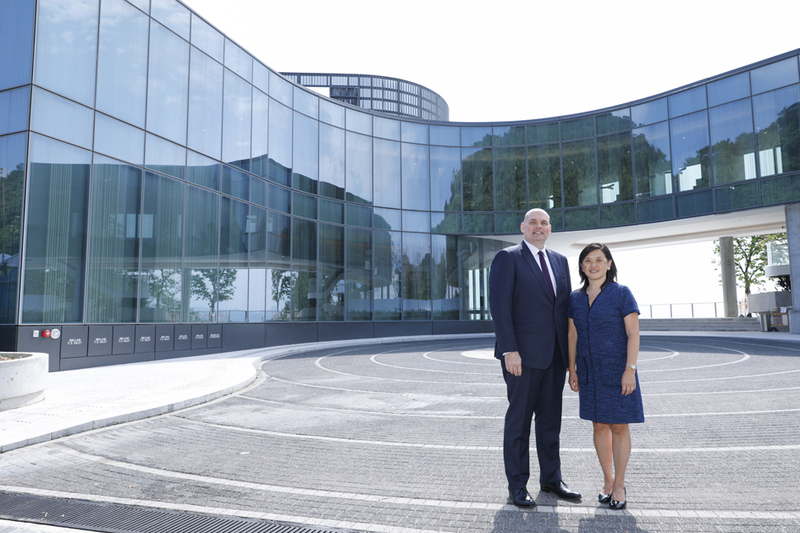 Chicago Booth Executive MBA program's associate dean in Europe and Asia Richard Johnson, who was responsible for overseeing the relocation in 2013-14, said the move is to attract a broader diversity of students, which the school had a harder time doing in Singapore. The plan appears to be working out. Before the relocation, around 60 percent of students were from or based in Singapore. "Now, the largest group of students in our program in Hong Kong is only around 27 percent and that's Hong Kong-based students. The rest of the class is made up of students from 14 other countries around Asia," he said. Johnson added it is a general management curriculum, which is targeted at middle to senior level managers who are looking to advance their career. So the average age of students in the program is 37 with 13 years' work experience. Students from the Hong Kong campus are expected to spend three weeks at the Chicago campus and one in London. The tuition fee of HK$1.305 million may sound a bit steep but it covers housing when they are outside Hong Kong as well as teaching materials. They are taught by the same faculty members who travel from the United States and students' admission requirements for the Hong Kong campus are exactly the same with the one as those for Chicago or London. The new Hong Kong campus also serves as the base for paid non-degree executive education programs lasting from a few days to a week for individuals to work on a more specific topic in business. Though there is no set entry criteria, Johnson said, "generally speaking, people have a few years of business experience." Custom-designed programs can be offered by the school to corporations that would like their employees to have a better understanding to a particular business focus they desire. Free workshops and events will also be provided to the public under the Hong Kong Jockey Club Program on Social Innovation, which discusses topics such as social entrepreneurship and non-governmental organization board governance. Two full-tuition-fee scholarships for the EMBA program Asia are going to be offered to senior leaders in non-governmental organization or charity sectors every year while eight are granted for other non-degree executive education program. 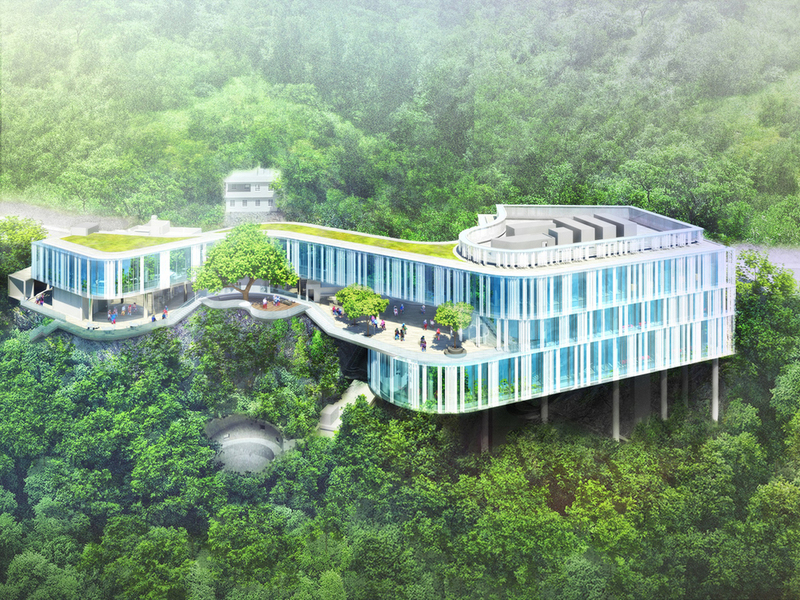 But the new campus in Hong Kong is more than a base for the academic programs. Faculty advisory board chairman Lee Ka-yee, who is a Hongkonger, said the university put together a heritage community around 2 years ago to celebrate the site's unique location. Designed by Revery Architecture, previously known as Bing Thom Architects, the 53,000-square-foot campus, which includes 44,000 square feet of new buildings, cost HK$75 million. It was originally the Jubilee Battery, which was used to safeguard the western approach of Hong Kong Island during World War II and later converted variously into a refugee center, a British Army Royal Engineers' mess and quarters, as well as the Victoria Road Detention Center before the handover. Since then, it had remained unoccupied. "As part of the revitalization process, we want to make sure to stay authentic to all the critical elements that are defining the site," Lee said, adding that the campus was built with the least disturbance to the heritage site in mind. "So the original fireplace, stair railing in Block A as well as detention cell marks, both on the ceiling and floor, have been kept and showcased as a part of heritage interpretation tour." Adopting an open design, the campus will have an interpretation center to be opened in December six days a week to host free exhibitions and guided tours to educate the public on the history of the site. Lee added: "Part of the revitalization process is actually to make sure that the trails on this campus merges with the trail that's on Mount Davis. So the whole place is actually open for use by the public." The school is unlikely to open any other degree program in Hong Kong at the moment. However, there will be a new course focusing on economics set to launch in 2020 that is available to only undergraduates from The University of Chicago. Another program in Hong Kong about colonization has been operating for four years now with a maximum intake of 26 students each year. During the 10-week stay, undergraduates are able to experience the city culturally as well as fulfill their college requirement of studying civilizations. The University of Chicago, founded in 1890, has 90 students, faculty members or researchers awarded Nobel Prizes across disciplines so far, including the first Chinese Nobel Prize winners Yang Chenning and Lee Tsungdao.